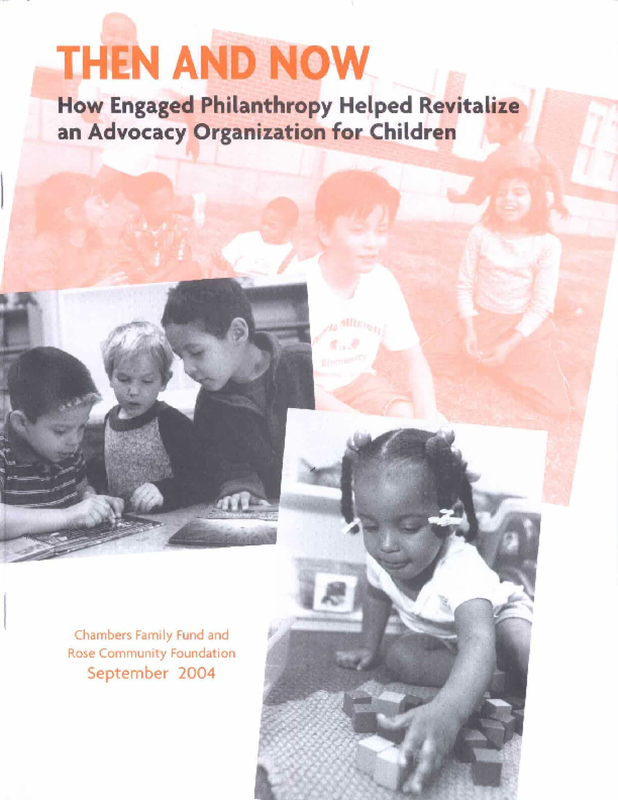 In 2004, Chambers Family Fund and Rose Community Foundation published Then and Now (*PDF), a report describing a four year effort undertaken by a consortium of Colorado funders to stabilize a children's advocacy organization that fulfills a unique role in the state. The report chronicles the experience in two parts: that of the funders' collaborative and that of the advocacy organization, Colorado Children's Campaign. Together, the two accounts illustrate how this collaborative process resulted in an open exchange of ideas that allowed an advocacy organization to transform itself, while also allowing the funders hands-on experience in funding advocacy. Copyright 2004 by Rose Community Foundation. All rights reserved.